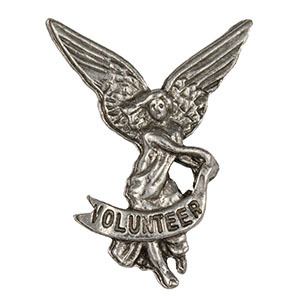 Volunteer angel large 1 inch, 3-dimensional pewter. Use; recognize volunteers at diner or when working or praying. Attach to a card or gift. Help our volunteers to succeed in their work for God.